Two visits in two days to Brockholes is somewhat of a Rarity for me at the moment. 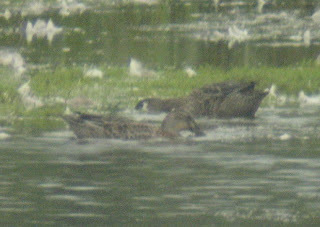 A text from Bill Aspin saying Bill Gregory had an Ecl Drake Garganey on Main pool during the day prompted an evening visit on the 29th. 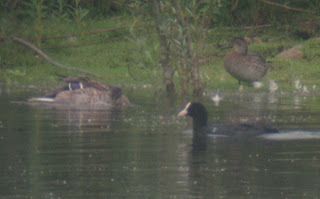 within about 5 minutes I was on to the Teal group present and swiftly had the Drake. 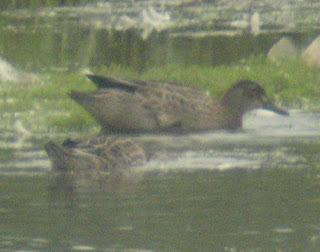 After another few minutes watching the Drake feed I noticed a teal with very boldly fringed tertials and and contrastingly 'black and white' head roosting. It began to feed and proved to be a Juv. 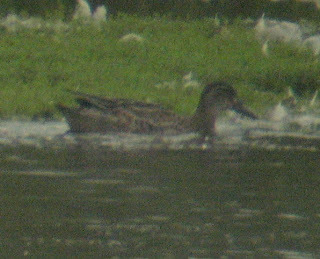 Another 10 minuted passed and I again noticed an unusual teal roosting...another Juv Garganey. 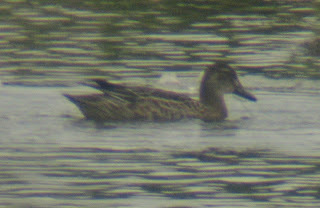 A great result for myself as i've never found British Garganey before to my recolection. Also onsite before I left was a 1st summer Hobby which flew over Main pool heading west. On the 30th I made a morning visit to the site as the evening before the light was awful and my photographic efforts frankly laughable! 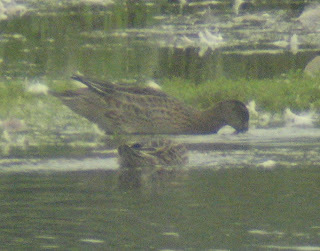 unfortunately I was only left with the two Garganey as one of the juvs must have left overnight. I watched the two remaining birds with Allen Holmes and Mike Ainscough.